You’ve got Deezer, Spotify, Rdio and more when you want to listen to Western music online. What about Chinese songs ? Where do you go to hear the Chinese top hits and discover new Chinese artists? Good news, there are a zillion of music sites in China. Even better news, these sites still let you listen to music for free. Most don’t even require you to sign up to listen, unless you want to save your new-found fave artists, of course. In short, it’s really easy to start improving your Chinese by listening to Chinese music! One of the most well known music sites is surely QQ Music. QQ Music is brought to you by Tencent, the Chinese web giant that made instant messaging and social sharing uber-popular in China through its QQ messaging service (their latest report stated they had over 700 million active users…). Like most QQ services (QQ IM, QQ Mail…. ), which are known for their user-friendly qualities, QQ Music – QQ 音乐 in Chinese – is pretty straight forward and easy to use. Let’s go explore QQ 音乐 together and you’ll be listening to Chinese music in no time! QQ Music offers a wealth of music, ranging from International hits to more confidential artists. To listen specifically to Chinese music, you have several options. On the homepage, you can browse and pick any artist that you want to listen to. 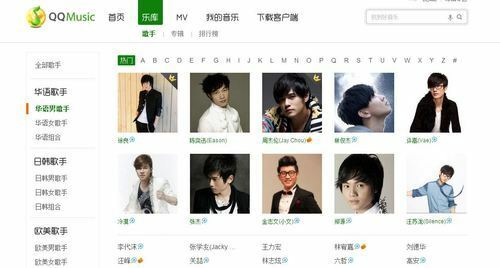 To check if he or she is Chinese and/or singing in Mandarin Chinese, simply click on the song to view its page or on the artist’s profile and see what is listed under 语言 (Yǔyán, language). If it says 国语 Guóyǔ or 华语 Huáyǔ, which both mean Chinese, you are good to go. K-pop is great but for the purpose of this article, we’re only looking for Chinese pop! You can also scroll down to other sections in the page, which you’ll be able to filter by language (华语, Huáyǔ, Chinese is what you’re looking for). Another good option is to go to QQ’s Music Library, which highlights the most popular artists, albums and songs . Whether you’re viewing the library by artists (歌手, gēshǒu), albums(专辑 Zhuānjí) or top charts (排行榜 Páiháng bǎng), you can very easily find the Chinese-language artists and songs. Using the filters that are always on the left in the library section, select 华语, for Chinese. The 排行榜 (Páiháng bǎng) section is a great way to see who’s trending in China right now. 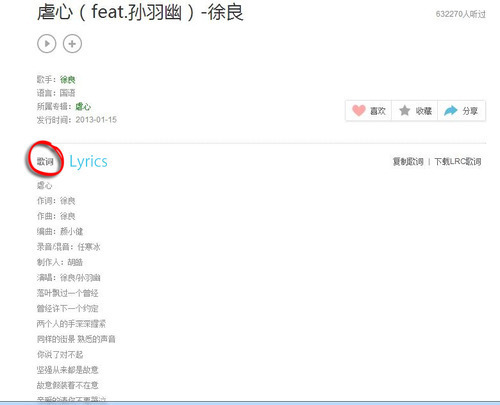 For some reason, in the album part, 国语 (Mandarin) is used instead of 华语 but it’ll get you the same results. Do you like Chinese guys, Chinese girls or both? We’re talking about singers, of course. On QQ, you can not only select only Chinese language music, you can also choose what gender singer you want: Male, Female or Duets, take your pick! Get your fill of personal info! For those of you with an extreme fan/stalker side, you’ll be glad to know singer profiles on QQMusic are full of essential information, such as how much does my favorite singer weigh? Does he or she like cosplay? Definitely, information you couldn’t live without! We kid, we kid but reading their bios and fave occupations are also a cool way to practice your Chinese! So go ahead, be as stalker-ish as you want. QQ Music is also a very useful tool to learn Chinese thanks to its lyric feature. Because you can easily view each song’s lyrics, pretty soon you’ll be singing in along in Chinese and learning Chinese without even realizing it! The QQ Radio section has a similar read-along feature. If QQ isn’t quite your fit, try exploring Douban Music and Xiami. Both also let you listen to streaming music for free and filter by location and language. On Douban, you can even choose to listen to Chinese music from mainland China (内地 Nèidì – and 大陆 dàlù), 台湾 (táiwān Taiwan), 香港 (xiānggǎng, Hong Kong) or in 粤语 (yuèyǔ cantonese). On Xiami, you also have the option to download songs. The fee they charge per song is pretty low, too! 03/12 UPDATE: Here are a few more sites to try out! 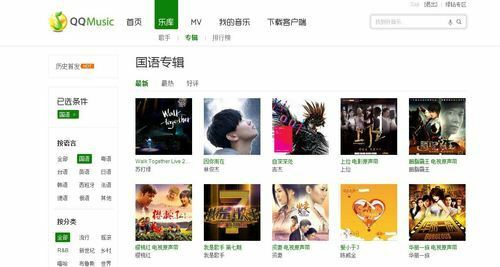 – Baidu (China’s Google, if not bigger) has its own music site : Iit may not be as user-friendly and visually pleasing as QQ MUsic but you’ll be sure to find what’s really trending in China right now on this site. Sure it may be on our Top Chinese music. – If you’d rather install a music player directly on your computer, http://ttplayer.qianqian.com/ is your man. Now all you have left to do is explore and figure out who your favorite Chinese singers are! Know of a good Chinese music resources we left out? Who are your favorite Chinese singers? Let us know! P.S: As a bonus, here’s one of our cheesy but favorite songs! It’s called Superman, by NESE. The chorus is super easy : 我是Superman, 你是Loser!